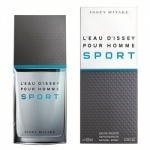 Issey Miyake's creation is a unique return to nature to rediscover its purity. This is the pure emotion of nature without any artifice, enhanced by human creativity. 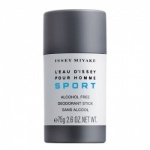 Issey Miyake explores new sports sensations in a simple and wild nature by enlarging its universe with. 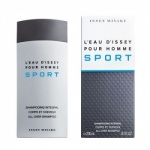 L'Eau d'Issey pour Homme SPORT. 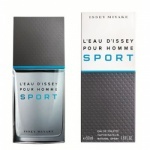 An obviously masculine fragrance that conveys sport values. A design inspired by technical and sports materials. A gel with a fresh, invigorating scent. A single product to gently cleanse body and hair and preserve the skin's hydration.